The latest adventure in the Land of Ooo spans time and dimensions.. and a baby? 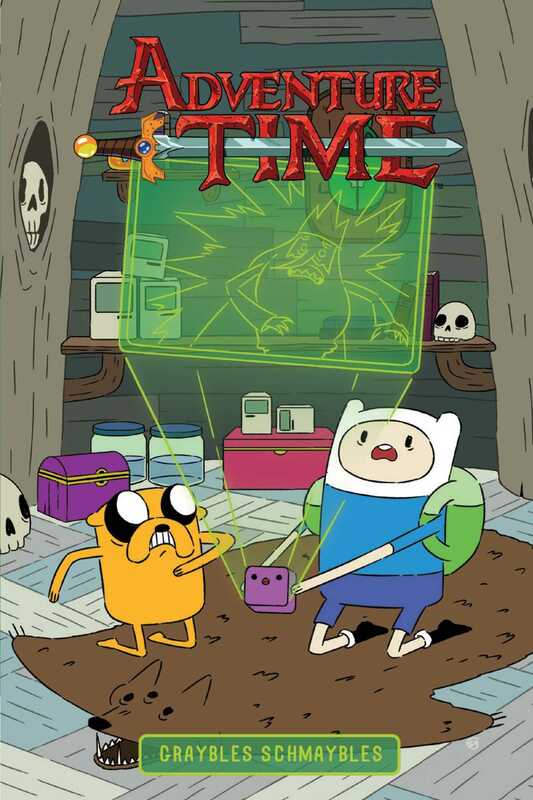 Finn & Jake wake up in the treehouse after having the same troubling dream of something calling their names. The boys find a little purple cube with a small face on one side. They soon discover that it’s able to fabricate and activate a little hovering prism, which transforms into a triangular screen, which they all start to watch together. It begin in the Ice Kingdom...Finn and Jake better be prepared for the adventure of a lifetime! Written by the super talented Danielle Corsetto (ADVENTURE TIME PIXEL PRINCESSES) and illustrated by amazing Zachary Sterling, this is going to be a crazy ride!